Electric auto brand Tesla said it signed an agreement Wednesday to secure land in Shanghai for its first factory outside the United States, pushing ahead with development despite mounting US-Chinese trade tensions. Those plans have gone ahead despite tariff hikes by Washington and Beijing on billions of dollars of each other's goods in a dispute over Chinese technology policy. US imports targeted by Beijing's penalties include electric cars. Tesla joins global automakers including General Motors, Volkswagen and Nissan that are pouring billions of dollars into manufacturing electric vehicles in China. Local production would eliminate risks from tariffs and other import controls. It would help Tesla develop parts suppliers to support after service and make its vehicles more appealing to mainstream Chinese buyers. Shanghai is a center of China's auto industry and home to state-owned Shanghai Automotive Industries, the main local manufacturer for GM and VW. Tesla said earlier that production in Shanghai would begin two to three years after construction of the factory begins and eventually increase to 500 000 vehicles annually. Tesla's $5bn (about R71bn) Nevada battery factory was financed with help from a $1.6bn (about R22.6bn) investment by battery maker Panasonic. 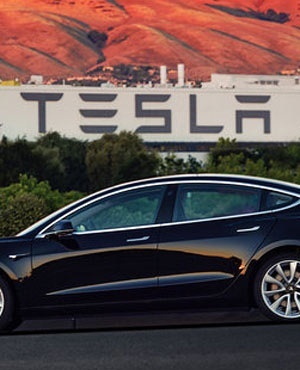 Analysts expect Tesla to report a loss of about $200m (about R2.8bn) for the three months ending September 30 following the previous quarter's $742.7m (about R10.5bn) loss. Its CEO Elon Musk said in a September 30 letter to US securities regulators that the company is "very close to achieving profitability". Tesla's estimated sales in China of under 15 000 vehicles in 2017 gave it a market share of less than 3%.